S.K. 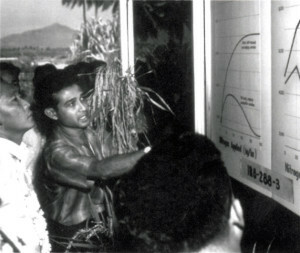 De Datta explaining in 1966 his research data on IR-8-288-3 to President Marcos, which eventually was released as IR 8 and known as the “Miracle Rice”. Both Presidents- Marcos and Aquino offered S.K. Philippine citizenship by Congressional Action in appreciation of his commitment and contribution to the rice world. Dr. S. K. De Datta played a major role in identifying the high yield potential of new semi dwarf rice lines that plant breeders at IRRI had developed in the 1960s. He demonstrated the tremendous potential of IR8-288-3,which was just a breeding line like many others until Dr. De Datta showed its record grain yield capacity under high levels of nitrogen fertilizer and associated good agronomic practices. 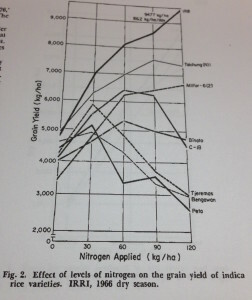 The results from this historic experiment in 1966 was published in Agronomy Journal in 1968. The agronomic research program of Dr. S.K. De Datta had an extraordinary impact on rice famers and consumers throughout the world. His pioneering work to develop the appropriate fertility and crop management practices for the Green Revolution varieties in rice dramatically increased yields, raised farmer incomes, and lowered the cost of rice to consumers. Without Dr. De Datta’s research, the yield advantage of a line such as IR8-288-3 would not have been discovered for a longer period of time, which would have delayed the release of adoption of the semi-dwarf varieties, costing farmers and consumers millions of dollars. In the “History of IR-8” published by IRRI in: Rice Today (October – December, 2006, Vol. 5, No 4), Tom Hargrove and Ronnie Coffman note: “In the 1966 dry season, S.K. De Datta, a young Indian agronomist who had joined IRRI in early 1964, examined the fertilizer response of IR8 (IR8-288-3), along with other rice varieties. ‘We wanted to determine maximum yields under the best management practices, he said. 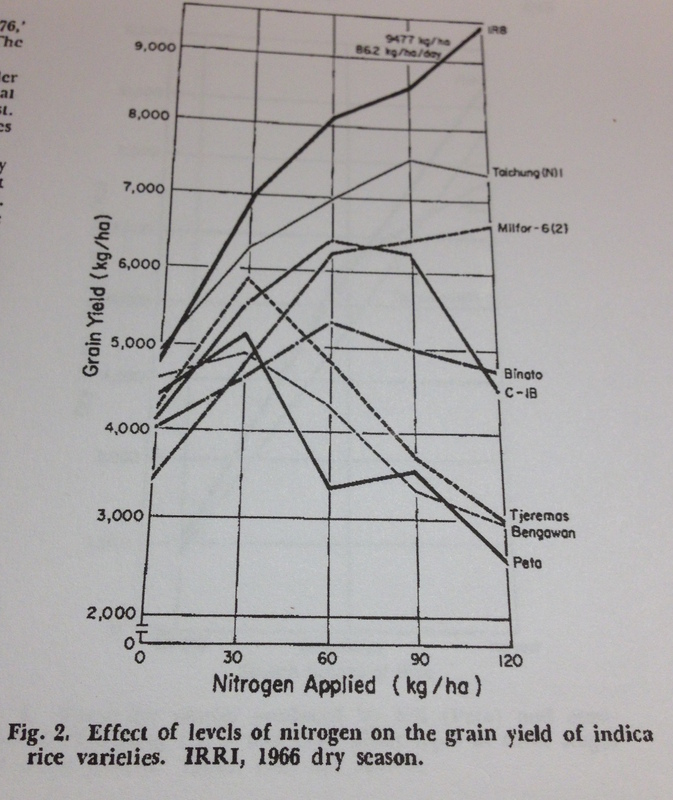 Dr. De Datta was amazed when he harvested the trials in May 1966 that IR8 averaged 9.4 tons per hectare, yielding as high as 10.3 tons in one trial….Dr. De Datta showed his data and Dr. Chandler was excited. ‘The whole world will hear about this,’ Dr. Chandler said, ‘We are going to make history!’ He then shook hands, congratulating Dr. Beachell for helping to develop IR8 and Dr. De Datta for discovering and demonstrating the semi-dwarf’s yield potential”.